Welcome back! This week we only have two products, but both are pretty high tech. One uses lasers and the other makes 3D objects appear out of thin air. It's a great time to be alive. You can watch the LIDAR demo by itself here. They wouldn't let me wear the glasses, and this made me sad. Don't worry, I just broke some dishes on my own. The LIDAR Lite should be really cool for the upcoming AVC this year. 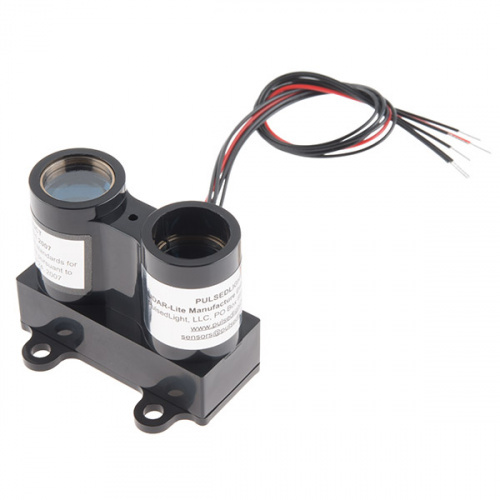 The LIDAR Lite is a compact, high performance laser range finder. It has a range of up to 40m and an accuracy of +/- 0.025m. It uses either a standard I2C or PWM interface and works with a 5V power supply, so it's perfect for most microcontrollers. 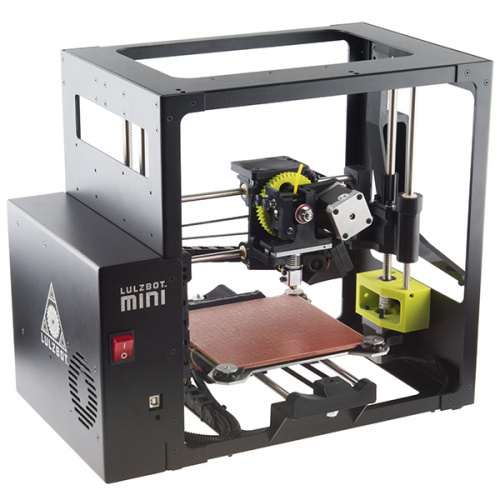 The LulzBot Mini is an easy-to-use, small form factor 3D printer that is more than capable of producing almost any object you can think up. Though tiny, this 3D printer is mighty! Enjoy tons of new ease-of-use features including auto-bed leveling, auto-nozzle cleaning, and easy carry handle. Plus, the whole thing is open source and backed by a great company. That's it for this week. We'll have more new stuff next week so check back then. See you next week! ok what with the power supply in the upper left corner of the video? Looked to me to be in sync with the LED sparkfun sign. You can see the current spike as the leds change color. What is the minimum range? I understand the maximum is 40m but the data sheet does not specify the minimum range. I know it works in a linear range but am also interested in the detection region. Nice demo by Nick. I know he was wearing the "black out" glasses, but I wonder if he actually did the demo with his eyes closed anyway. I probably would have to allow me to concentrated on just the sound. He states "hypothesis confirmed", but what did he think of the experiment? Was it cool, freaky, difficult, all three, what? One thing that bothered me about Robert's presentation... I know the clam knife isn't sharp, but having any knife sitting on a desk with the edge up makes me nervous. Oh the clam knife is sharp, I've cut myself a few times getting a part off with it. Keep bandaids next to the printer. Either of the Nic(k)'s are great additions to the new Friday product posts, but only one has a specific quip associated with him. I'm going to change that. Holy Crap! I teach a robotics, engineering/3D printing club at my high school, and one of the teams named themselfs "The Fresh Printers of Bel Air." That is really spooky.